Hope you’re all doing okay. At the beginning of August, I was lucky enough to win a giveaway held by Leah whose blog is called Devoted to Pink. In this amazing giveaway was a bunch of amazing makeup bits and other beauty products. 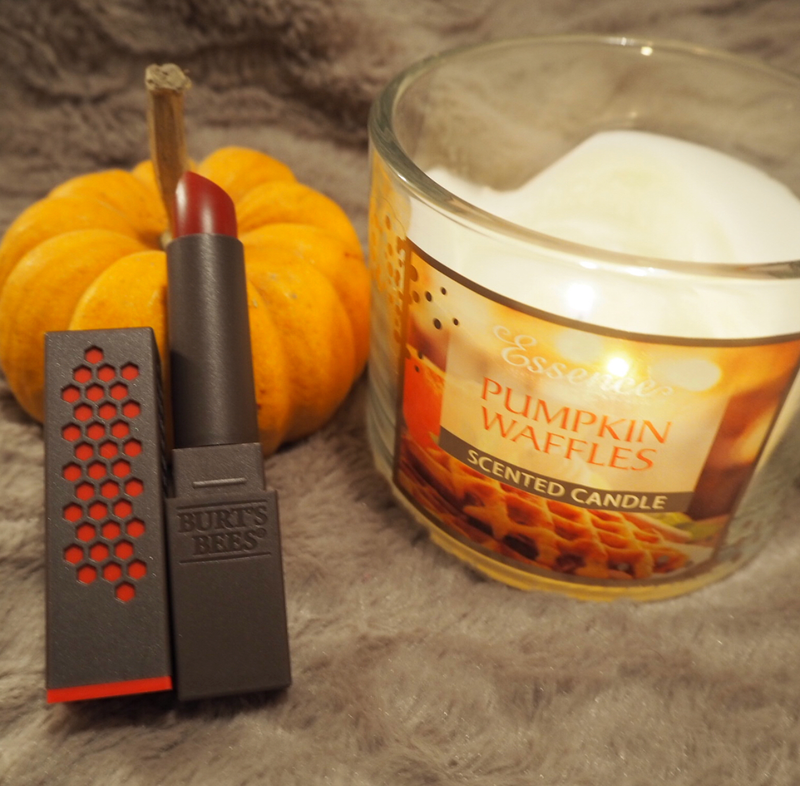 One of the things that caught my eye was I noticed that there was two Burt’s Bees Lipsticks. I have had Burt’s Bees lip balm before, and I love their lemon scented cuticle balm but I have never seen their lipsticks before. 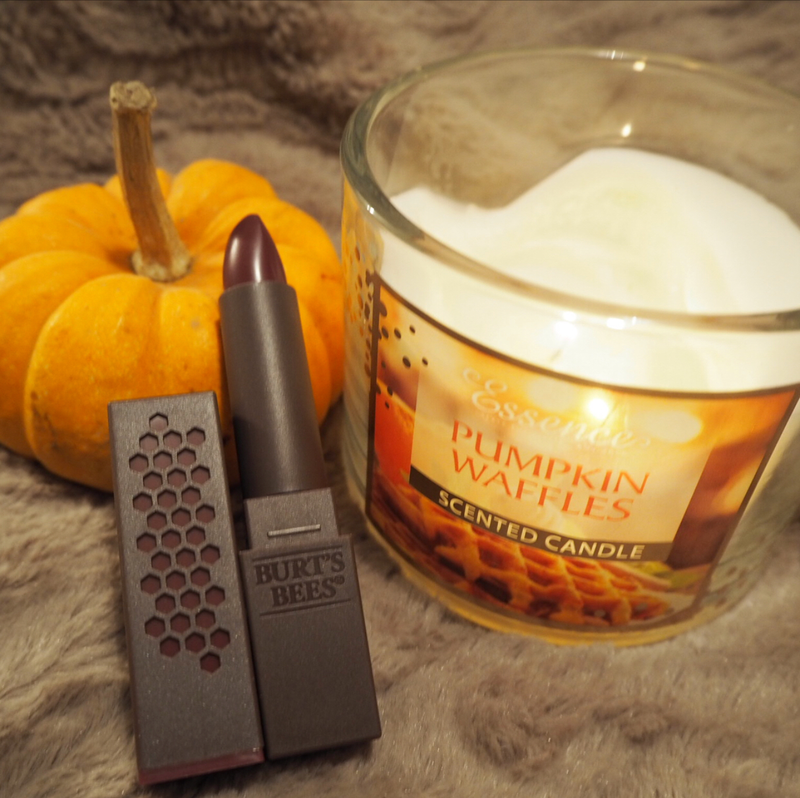 The first thing that came to my mind when I saw them was ‘A REVIEW!’, so here is my review on the Burt’s Bees lipsticks. I received two of these lipsticks, in the shades 520 – Scarlet Soaked, which is a very strawberry red and 531 Juniper Water which a very plum purple shade. They are both dark coloured lipsticks, which is nice because I feel like I need to add more colour to my lipstick collection. What’s even better for me is that they are both very autumnal colours, I remember when I received them and all I could think about was how excited for autumn they were making me. I have seen in a couple of other reviews on these products that people didn’t like the packaging. I on the other hand, actually really like the packaging. I like that it’s black, a nice simple and sleek colour. And I like the little bits of detail on the side that look a bit like little bubbles. I think the intent there is so it looks like honeycomb which I really liked! I thought that was quite fitting. 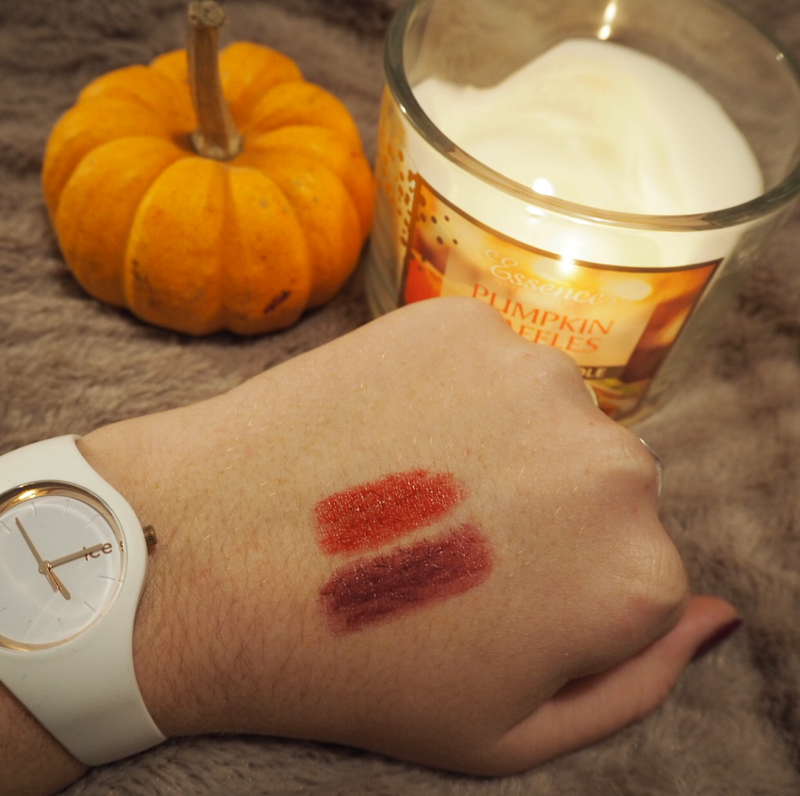 I love the shades of these products. Like I already said, they are very autumnal shades and add some much needed colour to my collection. They are sooo moisturising! If the Burt’s Bees products I already own are anything to go by, I had a feeling they would be very nourishing. They apply really smoothly and because they are just a normal bullet lipstick, you can correct mistakes easily if it goes everywhere! They are really comfortable to wear. They aren’t a matte finish or anything so they don’t dry up your lips of feel uncomfortable, they are the total opposite! They have really good and smooth pigmentation which I was quite surprised about! The lasting power isn’t great. Because of how creamy and moisturising they are, they come off quite easily. However, I didn’t expect them to have the lasting power of a matte liquid lipstick! Overall, I liked them. The shades are pretty, and the pigmentation of them was much better than I was expecting. They are extremely moisturising and hydrating though which was one of my favourite things about them. What I will say, because of how hydrating they are, they felt to me a little more like a coloured lip balm than a lipstick, but I suppose that isn’t necessarily a bad thing! Thanks for reading guys, do let me know if you’ve tried these before and let me know what you think! I’ve heard of Burts Bees before but never tried any of their products. I love the shades of these lipsticks, especially Juniper Water. It’s good to know they’re moisturising as that’s what I look for in a lipstick! Thanks for sharing.